Enjoy a window into the Proctor community provided through assembly podcasts, video, student and faculty blogs, news stories, and images of day-to-day life on campus. I was fortunate to be able to watch one of the most exciting teams this season. That of course is the Nordic ski team. 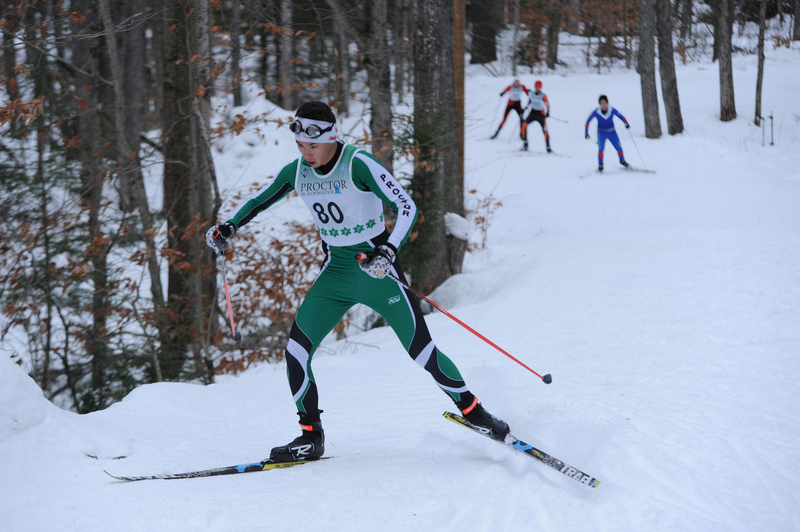 As I arrived at their first race of the season, a scrimmage of sorts with other Lakes Region schools, it was very impressive to see all of the new comers really already looking like seasoned veterans in the way they skied and cheered on their team. With such a larger number of kids on the team, the group has really thrived during these first few weeks of the winter season, and look to be a threat in the Lakes Region. Matt Bent ‘19, one of the seven seniors on the squad, is ecstatic about the new additions to the team, “Having a larger team is always good for us, the more energy the better so we embrace it. Having a lot of veteran skiers is a benefit because it helps the new skiers adjust to the difficult sport and the excitement and enthusiasm we are able to bring as experienced skiers in the league is great for everyone. With a lot of talent, it will be easy to stay focused and work hard this year.” The great thing about this team is all of the support from each other and it looks like they will really succeed this season. Some other big news for the Nordic team are the new lights installed on their FIS homologated trail system at the Proctor Ski Area. 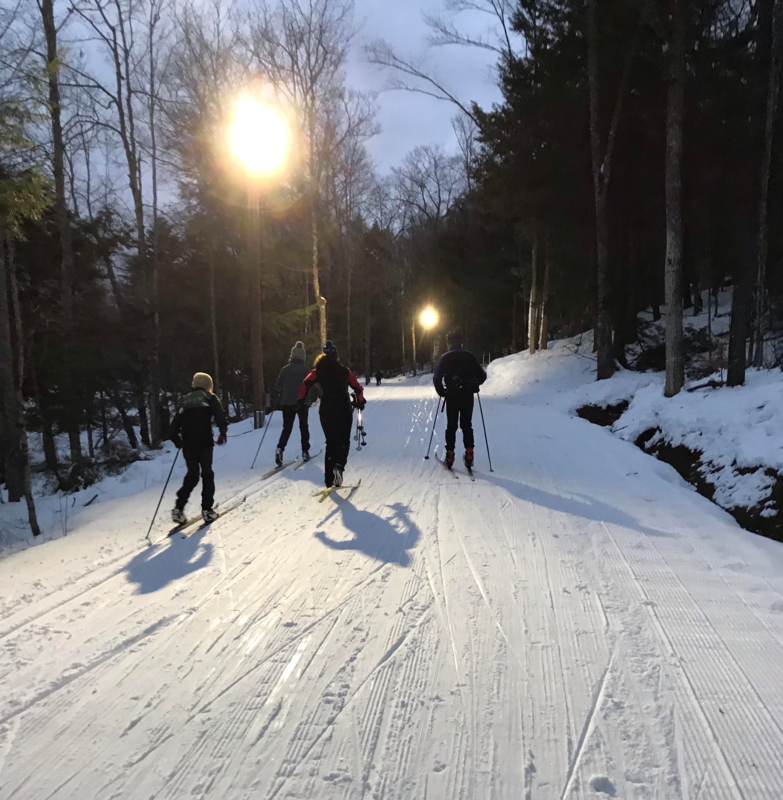 These lights were made possible by a grant from the Killington World Cup Committee this summer and will extend training hours considerably throughout the winter, while also increasing access to the facility by other local teams. Buz is very enthusiastic about the lights. “The new lights are fabulous. We already had a practice that ran into the dark and the skiing was great. The lighting system is truly world class - better than what we see in Norway! 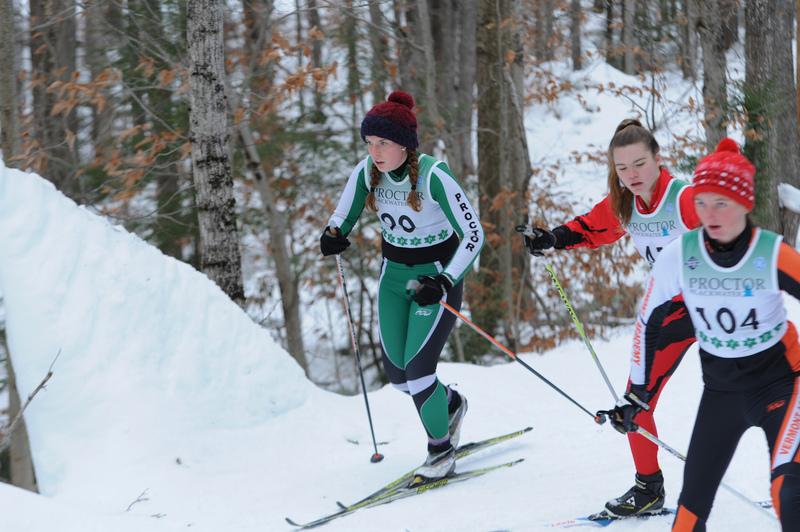 Hopefully we will lure more public school teams to evening events and give our program more exposure.” The combination of positive experiences among the students and the world class facility on which they get to train daily has created significant momentum in one of Proctor’s oldest and most beloved snow sports. The team’s early season success will hopefully yield tremendous results throughout the rest of the season. The coaching staff believes the team will be very competitive because it is full to the brim with enthusiasm, commitment, grit and passion to improve. With races held every Wednesday, be sure to follow the team on Instagram at the link below to see how they do against the Lakes Region’s finest. READ CHUCK'S CORNER AND ACADEMIC LENS BLOG ARCHIVES HERE. Located in Andover, NH, Proctor Academy is a private coeducational day and boarding school for grades 9–12. Students benefit from a rigorous academic program, experiential off-campus programs, fine and performing arts, competitive athletics, and a wide selection of extracurricular activities.